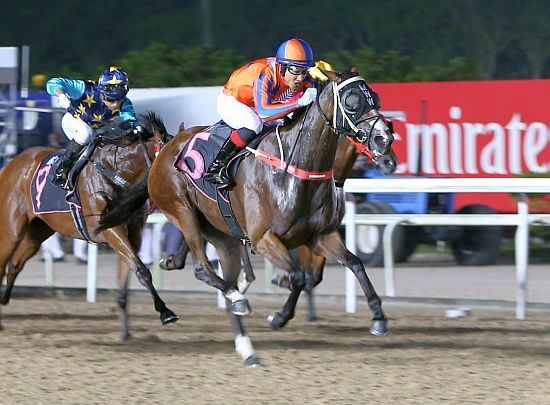 The Te Akau Singapore winning continued with trainer Mark Walker scoring a back to back winning double at Kranji on Friday night. This on the back of his five wins the previous weekend took his season tally to 22 and sees him with a five win lead on the Trainers’ Premiership. One of the wins gave former Te Akau New Zealand apprentice Nik Bakar his first win on his first day back riding at Kranji. Following a recent successful period working and riding in New Zealand, where he won 13 races, the talented apprentice (who has a useful 4kg claim) has returned home to Singapore, and remains in the stable. After giving early glimpses of his riding ability with a third place aboard his inaugural ride Success Come True two races earlier in the $30,000 Class 5 race over 1000m, Riduan made that first impression count with a 10-out-of-10 ride on Venus De Milo in the $30,000 Class 5 Division 2 race over 1600m. Both rides were for his new boss, two-time Singapore champion trainer and Te Akau Racing’s Kranji trainer Mark Walker.